Broccoli, which is part of the Brassica family are in effect a cool weather crop. Through breeding however, these crops have been developed with improved heat tolerance. 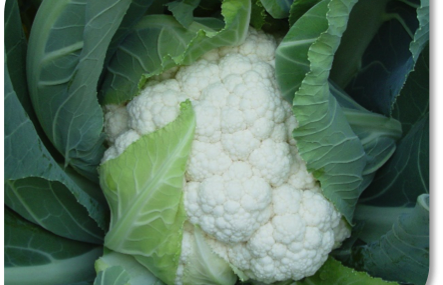 This development has meant that brassicas can now be produced throughout the year choosing the right variety for the right season. Sakata has several broccoli varieties available for the various planting seasons and producers must make sure that they plant the correct variety in a specific season to get the most out of their crop. Ares* is a fast maturing pre-packing variety suitable for spring, summer and autumn sowing. The dark green coloured heads are dome shaped with a medium bead size. Ares* produces smooth heads with small to medium plants. Very uniform maturity for a first cut. Very adaptable for production in all areas of South Africa. Parthenon is one of Sakata’s ‘new generation’ broccolis created as a result of extensive research and breeding programs. Parthenon has achieved a new level of quality with its exceptional characteristics and versatility. It is for these reasons that Parthenon is steadily capturing not only the European, but also the American broccoli market and is creating much interest within South Africa. Parthenon is a vigorous stout plant that produces large heads of excellent quality in cold weather. The heads are a high dome shape with very small beads of a dark blue-green colour. However, bead quality is adversely affected by warm weather. Parthenon is unlikely to develop anthocyanin (red pigment) build up and Hollow stem. Parthenon has very compact heads and thus excellent field holding ability, even if harvesting is delayed. Parthenon has an exceptional yield potential for both fresh market and processing. Excellent adaptability, reliability, quality and high yields make Parthenon the first choice for cool season production.